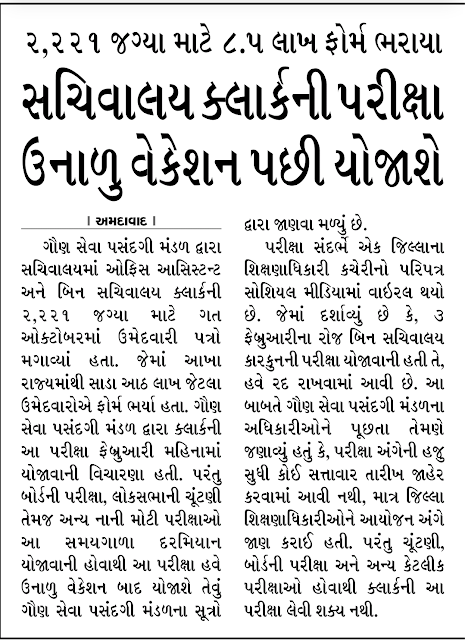 GSSSB BIN SACHIVALAY CLERK NI PARIXA SUMMER VACATION PACHHI YOJASHE:- SANDESH NEWS REPORT. How much does Cisco Webex cost in 2018? 2221 JAGYAO MATE 8.5 LAKH UMEDVARO A FORM BHARYA. Click Here To Views News Report.